I am currently reading, Lone Survivor, and I can’t put it down. It is truly amazing to get a first-hand look at what our military sacrifices for this country. I can’t wait to see the movie and I would love to see Marcus speak during his Patriot Tour. My dad has just finished the book and prepared me for the difficult sections (which made him cry). My heart goes out to all the families! An amazing glimpse of humanity. Something quite beautiful from something so tragic. Great report. A truly inspiring story am excited to read the book after watching the movie! Sending a big Semper Fi out to you Frogman! I understand how Marcus feels about his Afghan brother; I was in Afghanistan from 2008 – 2010 as a PSD security operative. I have a couple of Afghan Terps that I still keep in touch with and who are very good friends. I will always remember them and pray for their safety. Like Marcus said, there are so good people over there. God Bless you Marcus !! I read “Lone Survivor a few years ago and honestly as a military wife of 42 years of service and my “quiet” husband, this book and movie made my husband open up a bit, and I see how Marcus was a tool in the Lords Hand, look at how much good is going on because of this tragic and inspiring story. I can’t express my thanks enough to Marcus and all the members of the military and their families. I went tonite to it and cried it was so good. I will pray for Marcus’s continuing recovery and hope happiness comes from knowing he helped millions of people by his courage. wow. My heart was aching for these young men watching the movie. Oh what they went through for me to sleep comfortably in my home. Thank you, Marcus and all the other men and women… you are always in my thoughts and prayers. This movie was well done. I was shaking I was so nervous during their encounter. I just hurt so bad for them. I would love to hear Marcus on his patriot tour. So glad he survived to tell this story. Prayers for healing to the families of the others. I honesty did not know what the movie was about when I went to see it today. I left the theater today, sobbing. I think most civilians think we have somewhat of an idea of what our military personnel may have gone through while serving in Afghanistan. How very wrong I’ve been in my foolish thinking. My heart aches so very much and saying Thank you to all our men and women of our armed forces just doesn’t seem to be enough. I cannot begin to express how this movie has affected me. Bless you Mr. Luttrell.. Thank you for telling your story! I don’t normally cry at movies, but I did tonight. I am Canadian and would like to thank all the brave Seals (and women behind the scenes), including Gulab for helping keep the Western world, a free one. If you would kindly convey my thanks on behalf of Canada to your Seal brothers, it would be appreciated. Thank you. I just saw Lone Survivor. There is not much I can say except Thank You for your service. We have the finest military in the world, staffed with the very highest caliber of individuals. To men like Marcus Luttrell we owe a debt we will never be able to repay. God bless those who’ve served and the friends and families of those who never made it back. I will be forever grateful to those men and women who sacrifice everything for this country. I saw the movie and I almost couldn’t watch parts of it. It was too real. It trigged so many emotions. Thank you again so much and I pray that you can continue to heal. I also pray for the families who lost loved ones. I couldn’t finish your book when I bought a few years back… it was just to difficult. I was never in the teams, but served aboard destroyers for 14 years and saw some things men should never see. I still cant talk about most of it. I went to see the movie yesterday. You have great courage and I was humbled when I finished watching the movie on the way you remembered your team mates and the bond that you shared. The surface navy has no idea what true brothers in arms means. Thanks for your service and God bless you and your family. My husband and I saw “Lone Survivor” last weekend. I was floored by what you all endured, how hard you fought, how you never gave up. I saw heroism, brotherhood on a level I have never seen before. My heart broke seeing the pictures at the end, of the families and wives and children left behind. Thank you for sharing this story with all of us. Thank you for your service. May the Lord bless our American servicemen and women. I read Lone Survivor when it was released and couldn’t put it down. I haven’t seen the movie, but will soon. My boss, Lee Brower, spoke at an event where Marcus was also speaking and can’t say enough positive things about him. I am fortunate to have seen a video of Marcus speaking and am in awe of him. Marcus, thank you and all of our military service men, women and families for your service. What an incredible epic journey, and the stunning realisation that one lone survivor from Texas has an Afghan countryman to thank for such compassion. I loved the movie for the unity that it showed of the Seal Brothers, but who ever would have thought the final solution and rescue would come from an Afghan standing up to the Taliban at enormous risk and the lifelong bond between Marcus Lutrell and Mohammad Gulab. Mohammad Gulab is part of the solution to more peaceful times one day, he ultimately is as much a hero as Marcus Luttrel. As an Australian with knowledge of 40 of my countrymen killed in Afghanistan, I salute you Marcus Lutrell, I hope you journey down to Australia to share with your Australian brothers in arms as well as us civilians sometime in the future. As we all know, Freedom is never free, thank you Marcus and all the men who fight for our joint countries objectives to live free and enjoy our families and friends with confidence. . I read the book and watched the film. Both were excellent in different ways. Both brought me to tears. This interview was wonderful to see. I’m glad Mohammad and Marcus are able to keep in touch and visit. They are both lucky to have such a rare friendship. Bless them both and their families. I don’t think I have read a 400 page so fast in my life. I certainly sleep better after reading Mr. Luttrell’s story knowing there are men like him in our armed forces. Of course, his sacrifice is still probably costing him his sleep. I am in your debt Mr. Luttrell. I have the honor of knowing a Veteran in Webster, TX., that has read the book & has seen the movie. He is a very tough Veteran! But, he told me that there must have been a bucket full of chopped onions under his seat at the theater that night. To Fred, Ruben and Mark, all Veterans in and around Houston, THANK YOU for your service too! Mike.. I read the book when it first came out and couldn’t put it down. I’ve seen the movie three times now and all I can say is “wow”. As a former Marine NCO I applaud you brother and say my prayers and lift my glass to our fallen. God Bless this great nation, our men and women in harms way and God bless you Msrcus, Semper Fi Frogman, you led by example. Words alone can not express our gratitude to you and all that serve in military. Your strength, loyalty and commitment are appreciated, more than you will every know. I just ordered your autographed book after seeing the movie with my husband this week. I did see the interview with you & Mark Wahlberg by Jake Tapper (CNN). Rather than dwell on the negative regarding Tapper, I just want you to know that we are proud of you and all that serve — and your families. God Bless You! There are so many “sports” figures that people idolize, but in reality they are very small when I compare them to Marcus team. Very few of them can stand by a US Navy Seal and succeed in the training or do what a Seal has accomplished in a career. I guess the priorities of many American’s are a bit backwards. To me, these guys have no peers, and they deserve to be treated extraordinarily well. Much respect to Marcus and everyone serving in the military and their families for sacrificing all the ways you do. The movie has inspired our family to find a way to give back to those serving on a monthly basis. The Afghan man, his son and villagers were truly sent by God. Thank you for sharing your experience and of those who gave their lives for our freedom. I saw the movie first and was blown away by it. How anyone survived the falls down that mountain and continued to fight is absolutely incredible. The whole segment where Marcuse was taken in to the Pashtun tribe really made an impression on me and impacted me emotionally. I am now in the process of reading the book so I can fill in the gaps and get a better handle on the whole ordeal. I was a peacetime soldier and not in an elite unite, but I am nevertheless proud to have served and proud of people like Marcus, Axe, Dietz, and Michael and what they mean to this country. Having lost many friends in the Vietnam war and being married to a Navy vet I was moved and horrified watching what Marcus and his brothers endured to keep us safe and to help free others from oppression by the Taliban. If everyone could see this movie regardless of their opinion of how we got into the war they might understand what it means to follow orders and lay down your life for a country and the president. Not many of us could do that and for our brave men and women who do it everyday I am so grateful. God Bless Marcus, his family, his brothers in arms and our country. I first saw the movie. That inspired me to get the book What was I thinking? As a teacher, I always encourage the BOOK before the movie. I teach 7th grade social studies. The curriculum is Middle East first semester. After reading “Lone Survivor”, I will incorporate some of what you have taught me, Marcus. You embody what it means to be an American. I thank you and all of your friends and family serving in the military for your unselfish ways. YOU sacrifice life and limb to protect me and mine. If you are ever in the Atlanta vicinity, I look forward to hearing you personally speak. You have truly moved my heart. God makes NO mistakes. There is a reason you made it out, and your are fulfilling that reason. Thank you for your service! May God continue to bless you and your precious family! What an amazing story. I just got done reading Lone Survivor and I’m just amazed by the courage displayed during the events in your book. I’ve always had a great respect for Special Forces but this takes it to a new level. Thank you for sharing your story with us. I use it as motivation. Anytime I feel like things aren’t going my way, I think of the book Lone Survivor and it reminds me that my problems are miniscule. I keep telling everybody to watch the movie and read the book. It will change how you look at life. Thanks Mohammad Gulab for his code of honor. Best of luck for him and villagers that helped Marcus to survive. I have read the book and just now saw the movie. Thank you Marcus for your sacrifices for our country and way of life. My heart aches for the loss of your brothers. This book has moved me unlike any other. One of a kind American Hero. Thank you to all of the brave men and women presently serving our country, including my son, Ryan. I’m one of those old hippies who doesn’t think we should be there at all. But I respect my fellow Americans who have gone and done what they could to fight this war. Truly this story portays the deepest kind of love and commitment a person can have. I am awed by the sacrifice these guys made (and still are making) for us, the citizens of the USA. I pray it’s over soon. God bless our troops, and their families. I’ve read both “Lone Survivor” and “Service”. Must reads for every American! I also went to see “Lone Survivor” the movie…in the middle of the afternoon…and all alone. I was not the only one with the same concerns since the theater fill up with other men that came in alone. I guess we just don’t want people to see us cry. Thank yous just don’t cut it Marcus…God Bless You and all of your brothers. I have seen “Lone Survivor” and read the book. Both a gripping inspirational story of courage and survival, yet a wonderful heartfelt tribute to his fallen brothers. Thank you Mr. Luttrell for telling your story. The memories of what you all went through on that mountain in Afghanistan will live on forever because you survived. My heart goes out to all that paid the ultimate price in defending the freedom of this great nation! I went and saw Lone Survivor a few days ago and it was truly remarkable and totally inspiring. To even see the training at the start of the movie, seeing what these men put their bodies through to become a SEAL is amazing. The fight by these four men and the sacrifice of the fallen, I thank you. I’m excited to read the book even though I’ve seen the movie. I have read many books on war, military, snipers and Navy Seals. I am always left speechless at the sacrifice of these men and women. It never ceases to amaze me how they are living in the path of overwhelming danger. Somehow it feels so small to say thank you ,or any words, to a feat so large. I am in awe and feel deeply these are the people we all should honor,cherish and give as much as we can to provide comfort to them upon their return home. It bewilders me how enamored we are with celebrities, how much they receive in royalties and yet, know where near, do we show the same “LOVE” to our men and women of service to this country. Honestly it brings tears to my eyes and sadness to my heart. They deserve so very much more from all of us as Americans! How could anyone deny that. In this book ” Lone Survivor” it clearly shows us why we should all honor and recognize our armed forces and especially the ones that have not only done so much to be in the special forces but then sacrifice immensely for our country. Mr. Luttrell, you were the “lone survivor” because someone had to wake up the American people! I say to the American people and the media “Until your walking those shoes you need to reserve your judgements.” My heart goes out to you everyday for what you unfortunately carry around with you. But know in your heart you are a true,loyal, honorable man, your bothers knew it too. Your love for them is overwhelmingly clear. You now have a big responsibility to live for your brothers as well as yourself and your family. Clearly your doing it and working hard at making it all worthwhile. I’ve seen the movie and read the book. What a powerful story of courage of all you up on that mountain. Mr. Luttrell thank you so much for telling your story so people can really understand what you and our military do for all of us. So many do not have a clue what and where our freedom comes from and it just breaks my heart to especially see the youth that do not understand. Mr. Lutrell thank you so much for your service and GOD BLESS AMERICA. My boyfriend and I just finally went to see the movie and were both so incredibly moved by it. Within the last 10-15 minutes of the movie, people were crying and sniffling throughout the movie, including me and my normally stoic and composed boyfriend. I wish it was a requirement for Americans to see the movie or read the book, to be reminded of what real threats face our country and what quietly brave men (and women) go face to face with those threats and fight to the end. Although I’m not military, terrorism is a daily threat and consideration when I go to work, and I am so grateful these individuals do everything they can to reduce that threat. God Bless Marcus, his brothers, and every other military member that chooses to defend their fellow Americans! I read the book before I saw the movie. The book was outstanding and so was the movie. The story needed to be told. I have enormous respect for Marcus and these men and what they were willing to do for each other and for our country. When I say enormous respect, those words don’t really do justice to the amount of respect I have. It took great courage to write the book and make the movie. Iam a 9th grader in Boise, Idaho. I have read Lone Survivor and saw the movie, I loved them both. I am truly in awe of Marcus Luttrell and the many men like him. I am currently doing a project on him and SEAL training. I am a huge fan and thank you for your heroism Mr. Luttrell. I just saw Lone Survivor, absolutely inspirational and opened my eyes, but more importantly gave me a new found respect for those in that region who are not against us. For a long time I was narrow minded and believed that all those residing in Pakistan, Iraq, and so on were all in need of extermination. Watching this has made me a believer, that in the face of absolute evil there are people no matter how few, that are willing to die for even one person, to do what is right for the sake of humanity. People ask me, “Who is your favorite hero?” Besides my Grandfather, who served in the Korean War, it’s individuals like Marcus Luttrell, who stared evil in the eyes, and didn’t give in. To you sir, I say, thank you for you service, and to those who lost their lives, you will not be forgotten! I operated the same region as Marcus in 04 ..It eats at me everyday that we didn’t do more to make the AO more secure. Marcus, I have read Lone Survivor twice and it still gives me chill, goosebumps and brings me to tears. I lost it at the same exact part of the book this time as the first time. When Mikey is crying out for you help. I cannot fathom the feeling of helplessness you felt at that moment. God bless you Marcus. I feel as though I know you. I am so blessed to know that you and Golub are friends still and forever. He truly is a man of honor and should be made an honorary SEAL. I have read both books and watched the movie, and I’m now reading the book about Michael Murphy. I’m so honored to even get just a glimpse of the fine American Service Men!!! I’ll continue to pray for you Marcus and all the men and women that have served or is still serving. I called my son from the car in the parking lot after seeing the movie, but I didn’t reach him. When he called me back he had just see the movie at another theater. He told me that he actually got to meet you Marcus. My son is SGT in the Army Reserves stationed at Fort Benjamin Harrison in Indianapolis Indiana. He said that he was impressed by your story and your commitment to your team. Was amazed by your courage and your endurance. I think your are one great human being. You and the men in your books make me humble to be an American. Thank You All and God Bless You All. I finished reading the book after a fellow military retiree recommended it. Loved the book and can’t wait to see the movie! I served 20 years as a Navy submariner, but never really knew what the SEALS did. Now I have a newfound respect for them, thanks to Marc Lattrell. All the best with your future !!!! Respect and admiration from Australia. I have read the book and I’ve seen the movie and I can tell you that Petty Officer Luttrell, and the fallen heroes of Operation Red Wings, are the epitome of what the Navy teaches us: HONOR, COURAGE, AND COMMITMENT. I am a Navy veteran and I felt the pain and cried as I read the book. I wish I could go back in time and be half the sailor you were. I still get choked up from time to time whenever I think about what you had to endure. From Vet to Vet, thank you Marcus for looking death in the eye and being able to come back to us and tell us this story of bravery and the unselfish nature of the US Navy Seals. Connie Hall, above, took the words right out of my mouth. I too just finished watching “Lone Survivor” and my heart absolutely broke for these guys. Knowing this actualy happened made this the most powerfully moving picture I have ever seen. I’m just sorry this had to occur. Good luck and God bless the military men and women and all their families for their unwavering courage. First of all I want to thank you, and everyone in our Armed Forces past, and present for protecting, serving, paying the ultimate sacrifice, and allowing us the right to be free, and safe. My husband and I were watching “Lone Survivor” lastnight I cried, and I just couldn’t stop throughout the whole movie. Reading your book, and knowing what you all went through just made my heart sink. I’ve seen many war movies based on true story stories, but NEVER one has ever affected me like this one. My husband actually had to pause it a few times because I couldn’t handle it. I went through so many emotions; anger, fear, sadness, hate, sympathy, helplessness, relief. My husband is a Marine of 25 yrs, and I have a new sense of appreciation for every single honorable man and woman past, and present that are, and have defended our country. Lone Survivor not only made me realize that I’m NOT wrong to feel this way, but I also saw good in all of the incredibly brave village people, and the gentleman and his young son that protected, saved you, and helped in your rescue. That was truly inspiring, and incredible. I wish I could just hug you and the amazing man that saved your life. You and all of your brothers involved in this mission showed true patriotism, valor, camaraderie, and your will to live was spectacular. I really worried my husband, because I am sick. I have leukemia, and I can’t stress myself out like I did last night. When he saw me bawling, and screaming at the TV so upset. He had to calm me down to resume watching it, three times. I can’t say it enough what an inspiring movie. Seeing you in it was just really mind blowing, and every single person acting in the movie made it seem as if we were there with you throughout the whole movie. Thank you and God bless you Marcus Luttrell. You are a true warrior, and inspiration. Thank you!! Amazing story of courage seen the movie 3 times just bought DVD the day it came out. There are no words how deeply this movie touched me they are all hero’s, and the way Marcus survived should be talked about in every school there are good and bad in all country’s bless the team of Operation Red Wings. My heart goes out to all the fallen hero’s family this story will be forever in my heart. I hope every American will take the time to read the book or see the movie a true insipation. Bless you all !! I watched Lone Survivor with my twelve year old last night and I cried for the team and the villagers. My husband is a Chief Warrant Officer and this hit close to home for my children and I. I can only pray that god sends an angel like Mr. Muhammad and his son my husbands way if we’re ever in a situation as such. I had prayed during the movie when I first saw the villagers trying to help that they weren’t killed as a result. I’m relieved that you and Mr. Muhammad have remained in contact. He was really a blessing for you. Our Hero!!! You are a strong man Marcus!!! May god continue to keep you and Bless you. i have watched the movie 7 times, each time i cry. its not easy for a 6’4″ 250# Texas Redneck to do. Thank You Marcus Luttrell for your service to our great nation, and the Great State of Texas. your courage and tenacity is honored and appreciated by this Texan. hopefully one day i can meet you in person and pay my respects sir. Semper Fi and God Bless. I just finished watching “Lone Survivor” and I have to say that it was one of the best movies I have ever watched. As a guy I have never cried at a movie, but I cried watching this. The way Marcus and his brothers in arms fought for each other without thinking of themselves first is very inspirational. I am very proud to have been brought into this tiny part of their lives. They were selfless humans and brave Americans. Thank you for everything that you have done for our country. Marcus and his men have my upmost respect for everything they did. Thank you frogman!!! I rented and watched your movie today, and last night. I watched it twice. I watched interviews with you and Anderson Cooper. I have no words. Honor, admiration, hope, sadness. Those are a few that come to mind but I am looking for a word as powerful and amazing as my emotions right now and I sincerely do not think those words exist. The emotion, heart, breath and soul of a human like yourself are pure soul and love for which a word almost shouldn’t exist. You are the epitome of love and light. I hope your friendship with your saving grace fellow man helps heal you to understand that your “brothers” would not want you to feel any sort of pain, sorrow, guilt or the like for what happened or did not happen on that mountainous cliff. You/we are only human, for a short time. Enjoy, enjoy your daily breath with your wife, children and blood brother. Bless your soul Marcus. I must say, I just watched a recent interview with you, and would like to follow up with another comment. I have a smile on my face, and needed that smile. I see you’ve come far, and are happy. You portray a happy guy with no issues that us civilians can see, but your wife may endure from time to time. At any rate, upon watching the Fox interview, I wish you all the best with your latest job, raising your kids. Your facial expressions and wonderment about the tough job of raising your kids was comical. It is still utterly amazing and breathtaking to see the movie and what you went through on that mountain, and now to see such healing and your biggest toughest current job, is to rear those little ones. They are going to give you a run for your money, I promise you that. Amazing movie…can’t wait to read the books. I’m not an emotional guy but had me tearing up numerous times during the film. Can’t say enough about what these guys sacrifice for everything many of us take for granted every day. Being a wrestler and adrenaline junky know what these guys are talking about but they are on another level….”Never out of the fight”…no matter how beaten down, bruised, shot up etc they continued to fight for every inch. If that doesn’t inspire you you;re not alive. We can all apply this message to the way we live our lives. Do your part and help a vet or donate; they have given so much for us let’s give something back. Tell others about the movie and spread the good word. Thank you so much for your sacrifice to our country! Love the Navy for dad, father-in-law and brother all served in Navy. Read the book then saw the movie. Thank all servicemen for their service. Have read a couple more of the navy seal books. They are my heroes. May God bless you all. My father is a survivor of the Vietnam War. Retired 1980 as a Colonel in the Air Force. My brothers and I so often wondered why he couldn’t talk about what he had experienced. Thank you for telling your story. I just saw Lone Survivor What a great movie, I read your book a few years ago what amazing story and sacrifice. We all owe our Military Service a debt that we can’t repay. This story won’t be forgotten. There’s many good people around and I’m glad that Marcus was protected by what people think who are terrorist but are not. I’ll keep Marcus and family in my dua. I just watched this movie in the privacy of my home and my heart is so grateful for the heros that allow me to live in my free country. Being a Navy wife, my husband served for 26 years, I cannot begin to express the raw emotions I have right now….I am so humbled. My husband called me when there was 12 minutes left in this movie and I could not speak thru my tears…all I could say to him was thank you…thank you. He said he rememebered having to prepare the memorial service for those men and how difficult it was but it paled in comparison to what the Seals had gone thru. How can I thank you? I am forever indebted to our military. GOD BLESS YOU BROTHER! GOD BLESS YOUR TEAM – AND TO ALL WHO SERVED AND WHO ARE STILL SERVING. I sleep well at night because there are soldiers like Marcus Luttrell and his fallen Navy Seal brothers. These guys are truly heroes and represent what America is all about. I had chills down my spine when I watched the movie and saw these guys charging down the hill towards the enemy. Freedom is not free and we owe these guys as well as the rest of our armed forces for the freedom we enjoy everyday. God bless all of you! My husband and I watched “Lone Survivor” tonight. I have never been so affected by a movie as I was by this one. I was on the edge of my seat, gasping, fidgeting and, of course sobbing. My husband put his hand over my eyes more than once. I cannot fathom what these four men felt during this terrible attack. I am humbled by their courage and endurance. Mikey, Danny, and Axe, thank you for your bravery and for your service. Marcus, I’m so happy you made it. Thank you for your valor, your boldness, and your service. May God bless you and your family. Thank you for your service to our country. Your service protects our freedoms and I will never forget you or the men who gave their lives in Operation Redwing and other operations in Afghanistan and Iraq. We are privileged to have you watching our backs. Marcus’s story continues to provide inspiration to those that learn of his journey. Our military heroes are so undervalued and taken for granted in these times of unrest in our world. Thank you to those that put their lives on the line each day to keep our way of living safe from those that despise us. We have watched the movie 4 times and I am currently reading the book. As a Viet Nam vet, I can relate to some of this but never went through what these brave young SEALs went through for our country. Thank you to all of them and thank you Marcus for your testimony, strength and courage to tell all of us the truth about war and some of the decisions that have to be made, even when they are not in the best interest of our soldiers. We are all proud of you and as a resident of Cypress, TX. we are especially proud of what you are doing!! God bless you, your family and the families of the fallen. I read and finished your book in 2 days. Could not put it down, even while crying. Never has a book brought me to the place in my mind and heart that yours did. Even though I’ve always had a deep respect for military and always make a point to thank anyone I see in uniform, I have SO MUCH MORE respect now. Reading what you went through breaks my heart but also brings a weird sense of faith too; knowing Mr. Gulab and his village put themselves at risk to help you gave me a point of view for Afghans I never had before and to know there is a respect for others, even Americans, in a war torn country helped me to restore some faith in the Afghan people. 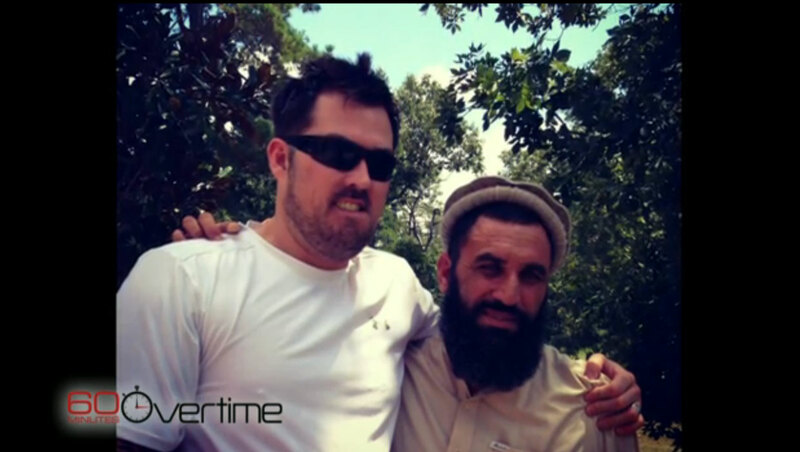 Marcus Luttrell, YOU ARE A HERO! God brought you through that very horrible experience for a reason and to see you sharing your experience is only part if it, he has great things lined up for you. Thank you for your selfless service, thank you for sharing such a time in your life that had to be hard to share and please wrap your arms around your parents for me and tell them “thank you for raising such an amazing man!” God Bless you! I have the movie and have watched it twice. Very intense and very moving. It touched my soul like no other movie I have ever seen. I received both of your books this past Tuesday and now I can read what the movie didn’t show or tell. I knew if I had read the book first I wouldn’t have seen the movie. May God Bless each and every one of you for all you have done and continue to do for our country and our Freedom we enjoy each and every day. All of you are true heroes! Yes a real true hero when I first saw the movie I knew it was based on a true story.those guys fought for their lives they can get a lighter in the air from me any time . I KNOW THAT IT BRINGS BACK SUCH HARD MEMORIES AND EMOTIONS BUT THANK YOU FOR SHARING. As I watch Lone Survivor for the umpteenth time, that knot in my throat always appears. From start to finish, you could set your watch by it. It happened again tonight as I made time to watch this masterpiece of a story again. I feel that the bond between service members of all ranks became stronger, in part due to the stories of tragedy and triumph. My time in the Marine Corps was between Operation Desert Storm and 911. Life long friendships with brothers and sisters were created and flourish today. Many of my brothers served longer than I did in the Corps and have had to travel to the other side of the world to serve and follow orders. For those sacrifices they made, I am truly honoured that they do still consider me a brother. that brotherhood stretches amongst service members. I still get that rush to see the intense training SEALs had to endure, as I know many veterans feel when they to are remember their own sacrifices to earn the title. That rollercoaster of emotions I feel when I watch Lone Survivor over and over, makes me proud to get to know just a bit of Marcus and his team. My name is Ali May I am 21 years old and live in East Texas. I am reaching out to you in reference to Muhammed Gulab. I am interested in starting a charitable foundation for him as well. The Story of compassion has touched me, as that is hard to find in this world. He also saved the life of someone who is protecting our country. I am trying to find a way to reach out to Mr. Gulab to ensure that he is willing to accept charitable donations and would need to find out how to get the donations to Mr. Gulab. I have reached out to several media organizations and have had no luck. I was reaching out to you in hopes of finding some assistance in this matter. If reading this I would greatly appreciate some assistance. I am young and can not do much but would like to help someone as he has helped someone dear to our country. Thank you for you time I greatly appreciate it. I hope you have a wonderful day. It is because of brave soldiers like this Seal Unit that those psycho sick Taliban terrorist are scared and running! The terrorist even in their own country is in hiding because of our brave soldiers! I’ve prayed for the soldiers that perished, along with their families and the soldiers who are protecting our country today. I love the fact that our nation takes care of our soldiers, but as everything else the way they take care of our soldiers can be improved. Thanks to Marcus and the rest of the Seal Team who did what they did to keep our Nation safe! May God bless you all. I watched Lone Survivor with my father last night and could not believe what our troops had to and continuously have to o go through to protect our country from the filth that threatens us…May God Bless each and every one of them and there families because this movie has really opened my eyes and touched my heart. I could not stop crying throughout this movie and I could not sleep thinking about these men and the men whom are still overseas battling for our freedom and our safety, God Speed and may his angels ride this storm out with each and every one of you! I just recently watched the movie. Never in my life have I been affected so deeply by one movie or story. I could write a bunch of my thoughts and feelings, but it seems they would fail miserably to show my gratitude and love for Marcus and the men and women like him that watch over us day in and day out. All I can say is I would give my left and right nut to meet this inspiration of a man. God bless you Marcus and Mohammed. I just finished reading Lone Survivor. Amazing story about some amazing men. This video really is a great epilogue to the book, and it brings a smile to see the two of them together again. God Bless.